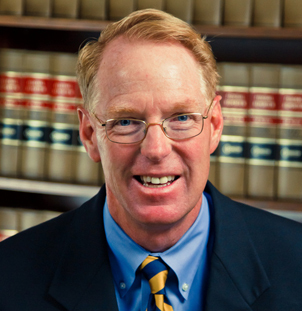 Judge Paul G. Cassell is Presidential Professor at the S.J Quinney College of Law at the University of Utah. He has extensive experience in the federal courts. He served as a U.S. District Judge in the District of Utah from 2002 to 2007, when he resigned to return to law teaching at the University of Utah College of Law. Judge Paul Cassell received a B.A. (1981) and a J.D. (1984) from Stanford University, where he graduated Order of the Coif and was President of the Stanford Law Review. He clerked for then-Judge Antonin Scalia when Scalia was on the U.S. Court of Appeals for the D.C. Circuit (1984-85) and then for the Chief Justice of the United States, Warren Burger (1985-86). Cassell then served as an Associate Deputy Attorney General with the U.S. Justice Department (1986-88) and as an Assistant U.S. Attorney for the Eastern District of Virginia (1988 to 1991). As an AUSA, Cassell tried more than twenty cases to jury as well as arguing a number of cases before the U.S. Court of Appeals for the Fourth Circuit. In 1992, Judge Paul Cassell joined the faculty at the College of Law, where he taught full time for ten years, including classes on appellate advocacy, evidence, and criminal procedure. In July 2002, Judge Cassell was sworn in as a U.S. District Court Judge for the District of Utah. In July 2002. He presided over numerous civil and criminal cases, developing a reputation for moving cases to resolution rapidly and fairly. In November 2007, he resigned his judgeship to return full time to the College of Law, to teach, write, and litigate on issues relating to crime victims, rights, criminal justice reform, and other legal issues. In 2008, Mr. Cassell was named a University Professor. Since returning to the University of Utah, Judge Cassell has maintained an active pro bono practice representing victims of crime in federal courts throughout the country. He has personally argued cases for crime victims in various federal district courts, the U.S. Courts of Appeals for the Fourth, Fifth, Sixth, Seventh, Eighth, Tenth, Eleventh, and D.C. Circuits, and the United States Supreme Court (Paroline v. United States). He has also worked on civil litigation matters as Special Counsel for the Salt Lake City law firm, Hatch, James & Dodge. In March 2014, Mr. Cassell was hired by the Utah Attorney General’s Office as Special Counsel to investigate high-profile allegations that the Office had acted improperly in handling a criminal case against Marc Jenson. Cook v. Chase Manhattan Mortg. Corp., 509 F.Supp.2d 986 (D. Utah 2007) (granting summary judgment on fraud and contract claims in an escrow arrearage dispute). Trugreen Companies v. Scotts Lawn Service, 508 F.SUpp.2d 937 (D. Utah 2007) (granting partial summary judgment on claims arising from non-compete agreements). United States v. Wilson, 350 F.Supp.2d 910 (D. Utah 2005) (Sentencing Guidelines should be given heavy weight after Booker; first opinion in the nation interpreting Booker). Gibbons v. Lambert, 358 F.Supp.2d 1048 (D. Utah 2005) (granting summary judgment on most claims in civil rights actions stemming from failed prosecution of banker). United States v. Angelos, 345 F.Supp.2d 1227 (D. Utah 2004) (finding mandatory 55-year sentence just, cruel, and irrational but nonetheless constitutional). Benson v. United Brotherhood of Carpenters and Joijners, 337 F.Supp.2d 1275 (D. Utah 2004) (rejecting NLRB’s efforts to enjoin union’s display of banners). Doctor John’s, Inc. v City of Roy, 333 F.Supp.2d 1168 (Utah 2004) (rejecting constitutional challenges to sexually oriented business ordinance). United States v. Bedonie, 317 F.Supp.2d 1285 (D. Utah 2004) (lost income restitution required in federal homicide prosecutions), rev’d on other grounds, 410 F.3d 656 (10th Cir. 2005). Parker v. Olympus Health Care, Inc., 264 F.Supp.2d 998 (D. Utah 2003) (affirming jury verdict of $2.5 million in sexual harassment case).